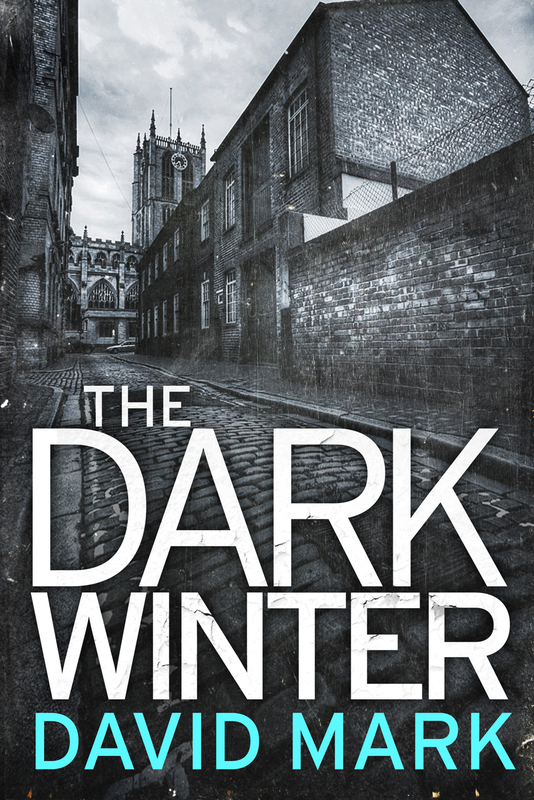 DAVID MARK spent more than 15 years as a journalist, including seven years as a crime reporter with The Yorkshire Post – walking the Hull streets that would later become the setting for the Detective Sergeant Aector McAvoy novels. 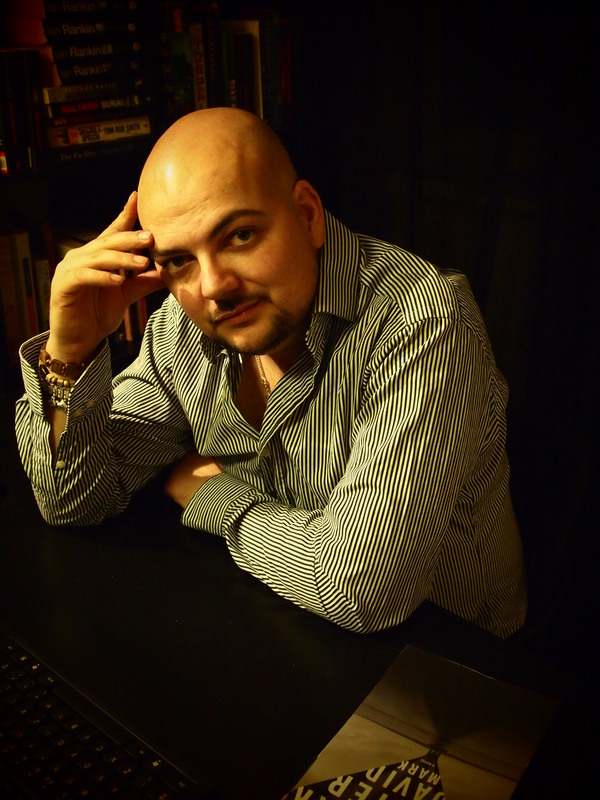 The Dark Winter is his first novel, published by Quercus, and will be followed in spring 2013 by ORIGINAL SKIN. He is appearing on the New Blood panel at Theakstons Old Peculier Crime Writing Festival in Harrogate. I’m typing this while pulling a face that could probably best be described as a ‘pre-emptive wince’. The reason? Well, I know that in a moment, people are going to think less of me. And of those, some are going to wish me physical harm. You see, until roughly a year ago, I had never heard of the Theakstons Old Peculier Crime Writing Festival in Harrogate. I know. Crap, aren’t I? I mean, proper thick, right? You spend your whole life obsessively trying to become a crime writer and have never heard of the biggest event in the calendar? Believe me, my shame knows no bounds. A few months after signing a deal to publish my debut novel, it fell to my agent to fill in the gaps of my knowledge. This took considerable time. We started with where babies come from and worked our way up to the Higgs-Boson stuff, via a lengthy digression on why Spurs always fall away at the end of the season. Like a professor explaining geometry to a King Charles Spaniel, he gradually explained the festival’s history and importance in the literary calendar. He said that taking part was an honour and even attending was a thrill. He even suggested that by the following year, I might be on the periphery of the shindig, and should cross my fingers about the whole affair. I did cross my fingers. I now have arthritis and can’t type. But I’m on the New Blood panel at Harrogate, preparing to have a chat with Val McDermid about my debut novel, Dark Winter. Can I swear on this site? Best not risk it. Okay, let’s just that my feelings about this rhyme with ‘clucking bell’. But can one feel humbled and honoured to take part in something you have only heard about relatively recently? I didn’t used to think so. But it turns out I was wrong on that score as well. I’ve spent the past year trying to better understand the literary landscape and immerse myself in this world of editors and booksellers and publishers and press. I’ve read what Harrogate means to other people and I’ve got caught up in the excitement. I can’t bloody wait and I feel genuinely proud and delighted to be taking part. Should I be there? I don’t know. I can’t help thinking I should probably have spent more of my formative years haranguing authors and licking the windows at Waterstones, desperate to spend the a moment or two in the company of my crime-writing idols. But I didn’t. Instead, I’ve spent my entire life reading crime, and then writing crime, then considering committing crime while feverishly trying to get published. I’ve never enrolled on a creative-writing course or joined a book group or gone to a talk in a library. I didn’t know people did that. In my defence, I’m from Carlisle, and not very bright. Oh, and I’ve got kids, and used to work about 60 hours a week as a crime journalist. Things are different now. I know about the festival. I know that it matters. And I can’t wait to be a part of it and make up for lost time. Thinking of it in purely story-form, it’s quite a significant chapter in my life, too. I’ll give you the quick version on how I got there, as it’s a pretty boring yarn involving me going a bit mental and frantic and clawing stories out of my psyche like a finger-painter throwing tar at a canvas. But suffice to say, I was a journalist for years, working on various regional newspapers and covering crime, and that gave me a bit of an insight into coppers and criminals. I wrote a book, set in Hull. It was rubbish. I wrote another. It was a bit better. I eventually got a book together that wasn’t dreadful, and sent it off to a load of agents. One of them liked it, and against the odds, he took me on as a client. I spent four years being praised by publishers, but couldn’t get a deal. Then, last year, in a characteristic fit of frustration, I approached a new agent. He loved my work, and within a week, I’d bruised a very good friend’s ribs in a triumphant bear-hug. Things went nuts after that. Three more publishing houses started vying for the rights, and it ended up in an auction for my signature. I decided to go with Quercus, who seemed to really understand the work, and I haven’t regretted it. The critics have been nice. Val McDermid said I was ‘extraordinary’, which isn’t something that happens every day. I’ve signed deals in Italy, Germany, Greece, Spain, Turkey and America. I do book-signings quite a lot and people have bought tickets to hear me talk about what I think. And now I’m on the New Blood panel at bloody Harrogate. Thanks to David for dropping by and making his confession – you can get yourself a copy of The Dark Winter here.